This type of ready-made MP3-FM kits are easily available in the market. 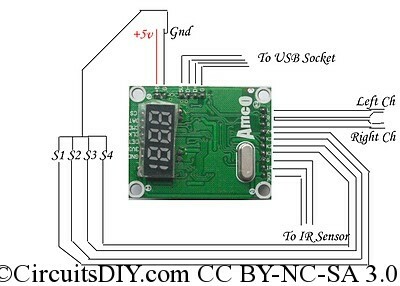 The kit consists of one main board, one connector wire, one USB socket+wire, one remote with battery. 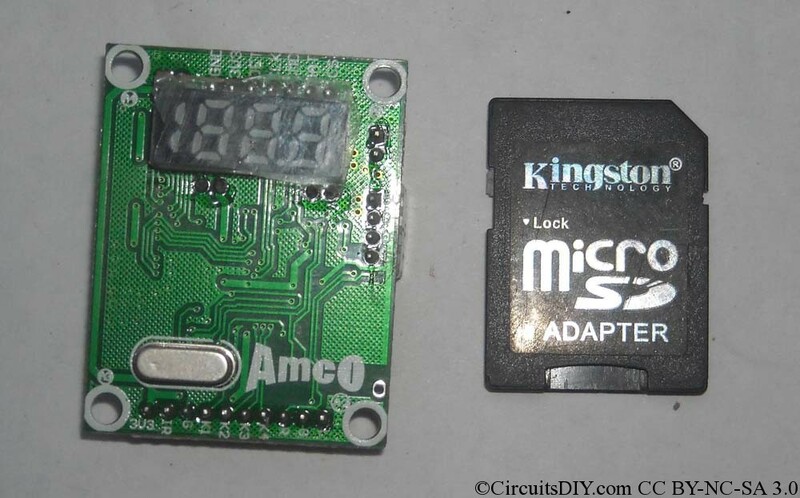 ‘Amco’ is a reputed brand in manufacturing these boards. These boards have a 3.5 digit display for displaying song#, equalizer settings, FM frequency etc… These kits have stereo decoded output, just need to attach a stereo amplifier. These kits costs about 140-150/- only(as of 10/2010). But If you are going to use remote, you must buy a extra IR sensor(about 12/-). 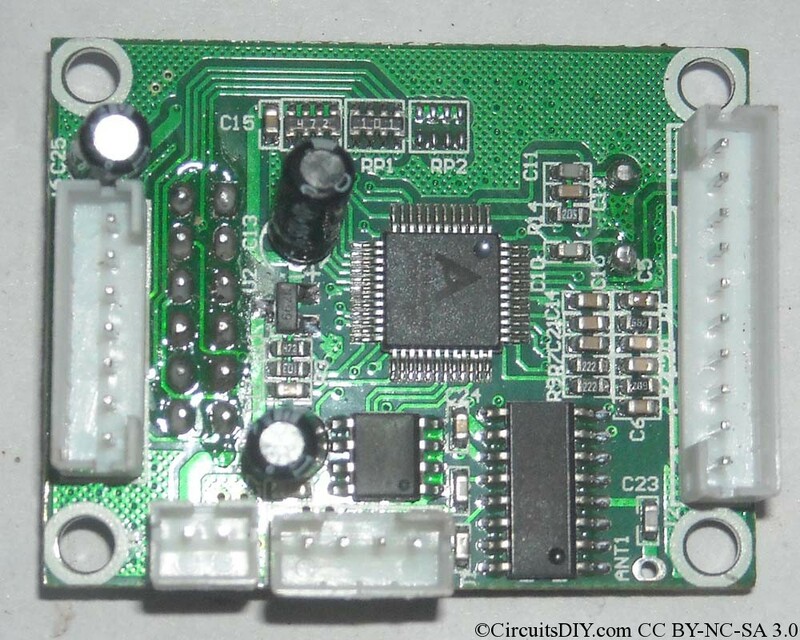 If you don’t have +5V regulated supply, you must create it using regulator IC LM7805 or 78L05. The whole connection diagram is given below. Click on the image to see it in full size. If you have questions, contact me through contact page. Update: Due to everybody demanding online purchase of this kit, I’m providing supply for individuals. If you are interested in buying online from me, contact me through contact page, mentioning number of kits you want, and your address. i need a circuit for hi-fi power amplifier for operating 2 X 100 W (8 ohm) speakers, the ckt must includes pre-amp, bass & treble control & power amp & must be using transistors/ MOSFETs not IC . my present circuit is out-of order due to non-availability of transistors. if not possible u can provide ckt for power amplifier only with dual power supply. 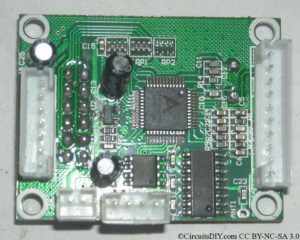 We are looking for a FM Module Circuit, but it should also have AUX cable connectivity, Amplifier and Speaker. If you can suggest or provide we need 50 PCS for the same. I’ve no idea about such a FM module with all the capabilities you’ve mentioned above, sorry about that. But may I ask you about it’s dimensions, audio output power, quality of the materials and your desired price ? After seeing your comment, I noticed that the diagram is missing from this article. I’ll try to find that and upload again. Just search your local electronics market, it’s very common. Hi Unmesh, yes I have one, but it’s very common, you can buy from your local market at around 120Rs to 150Rs. If you cant find it locally, then I’ll send it to you. Is this support stereo fm?